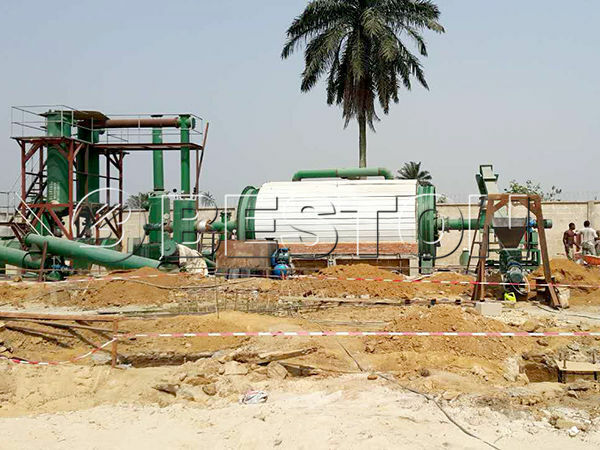 Beston batch pyrolysis plant aims to handle the small scale of waste. In addition, it is equipped with advanced safety devices, which includes alarm for over temperature and pressure, auto pressure releasing system, and fire fighting devices. As for the dedusting system, it includes water spray, ceramic ring filter, and washing chamber, which can guarantee the plant can work in a safe environment, so the whole working process does no harm to the environment. Moreover, our batch pyrolysis plant is suitable for various raw materials, including plastics, rubber, tire, oil sludge, etc. In these years, we have successfully exported our batch pyrolysis plants to many countries, including Jordan, Malaysia, Korea, Brunei, etc. Here is a photo of our BLJ-6 waste plastic pyrolysis plant in Hungary. 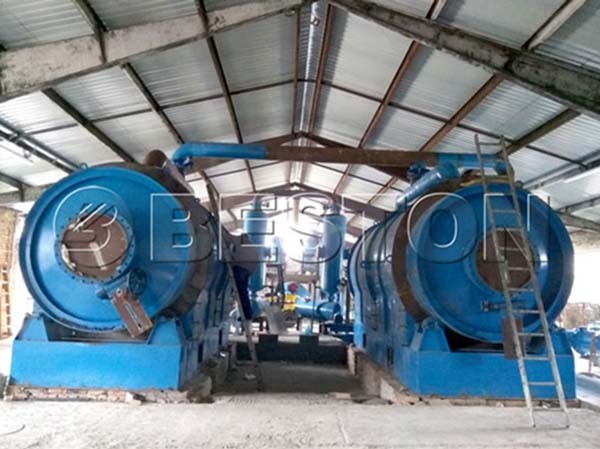 Today Beston has 2 models of batch pyrolysis machines for sale. Here are the main parameters. It needs labor to operate, so the raw material is put into the pyrolysis reactor by the labor. When the temperature of the pyrolysis reactor reaches 200 degrees, the oil gas appears, and the 280 degrees to 350 degrees is the biggest oil yield rate interval. The manifold separates the heavy oil gas and light oil gas. The light oil gas rises up to the condenser and then be liquefied to be oil. As for the heavy oil gas, it can be also liquefied and be collected into the heavy oil tank. The combustible gas will be produced in the pyrolysis process, and it can be processed by the hydroseal, which can remove the sulfur in the gas, and purify the combustible gas. Then the combustible gas can heat the pyrolysis reactor. You will get the carbon black after the cooling system. And its temperature is around 50 degrees to 70 degrees. What Can You Do With the End Products? Fuel Oil: It is useful fuel, and you can also sell it on the market. If you want to reprocess the fuel oil into higher quality, our waste oil distillation plant is available. Carbon black is a useful material to make color masterbatch, active filler. Using the carbon black to make bricks is also a good choice. Moreover, the carbon black processing plant can help you get higher quality carbon black. The combustible gas can heat the pyrolysis reactor after the purification process. As for the steel wire from waste tyres, you can use it to make steel bloom by hydraulic press-packing. Or you can sell it directly. 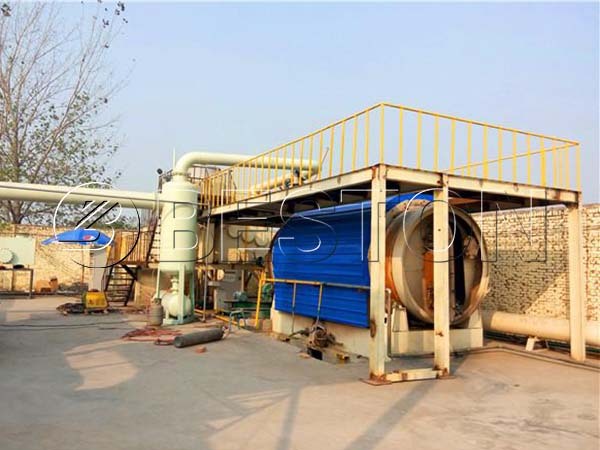 Beston batch operating pyrolysis plant can achieve the waste to energy conversion and the circular use of energy. If you want to start a small waste pyrolysis plant, and the labor expense of your local area is not high, you can purchase one. You can enjoy the first-class provided by Beston (Henan) Machinery Co., Ltd, and you can also make great benefits from the useful end products.